DAVID LE/Staff photo. 2/14/15. 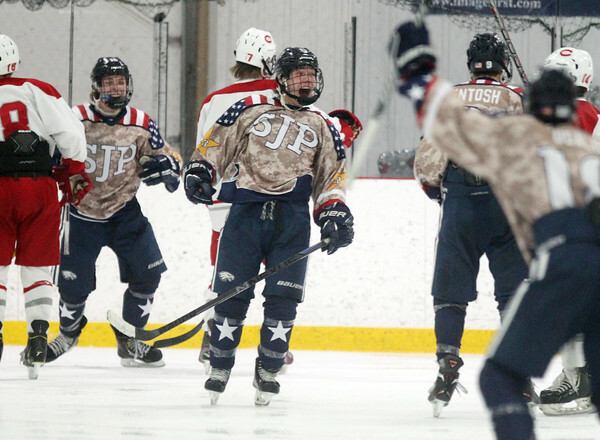 St. John's Prep junior winger Kyle Lynch lets out a shout of celebration after picking a corner against Catholic Memorial to put the Eagles up 6-0 during the third period of play.